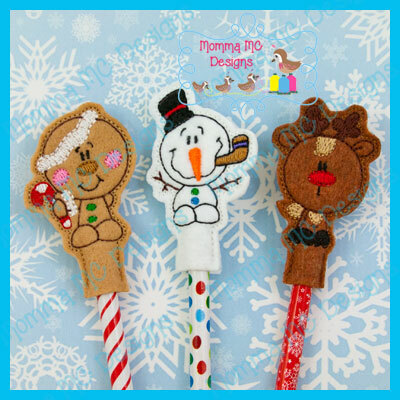 You will receive all three - Gingerbread, Snowman and Reindeer pencil toppers. All fit in a 4x4 hoop. 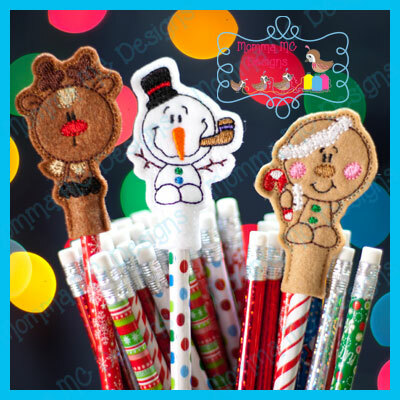 You will also receive files with each design grouped and sorted in 4x4 and 5x7 hoops for easy stitching of multiples.